All asset classes were hurt with October performance. There is not much investors could have done to protect themselves during the month, yet there is a feeling that hedge fund managers should have done better for the month and the year. There is a nagging question of whether hedge funds met performance expectations. 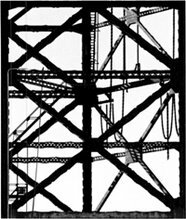 Investors could form benchmarks for all managers, but finding the right benchmark is not easy, so a simple rules of thumb may be helpful. A simple rule could be ask whether the hedge funds were in what I call the zone of diversification. An increase in hedge fund exposure usually comes from a decrease in equity or fixed income allocations, so a simple performance rule should be that hedge fund returns should fall somewhere between equity and fixed income index returns. Hedge funds will have an equity beta that will be less than one, but should be able to outperform a portfolio of bonds. Volatility will be less than equities and likely greater than an intermediate bond portfolio and the correlation with equities will likely be higher than bonds but lower than other equity alternatives. When we look at performance for a given month or for the year, the loose rule of thumb is that performance should be between stocks and bond returns. For October, hedge funds did better than equities (SPX), but generally did worse than the Barclay Aggregate. Performance was negative across the board but returns were better than holding an equity index. 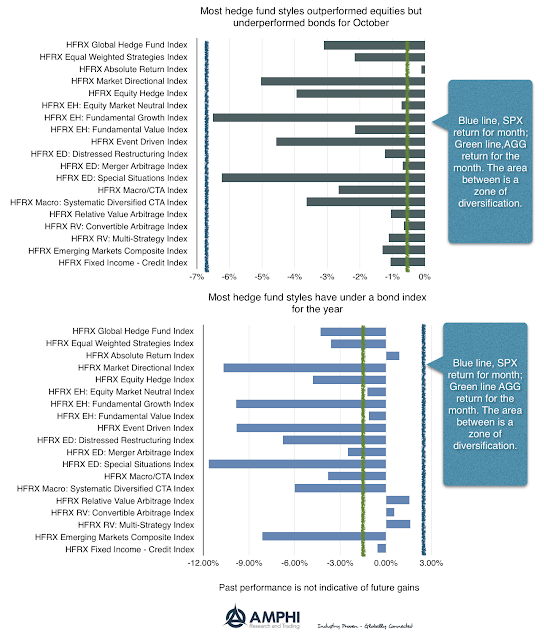 For the year, hedge funds have underperformed bonds except for fixed income relative value and the HFR absolute return index. For pensions trying to hit return targets, this has been a difficult year. 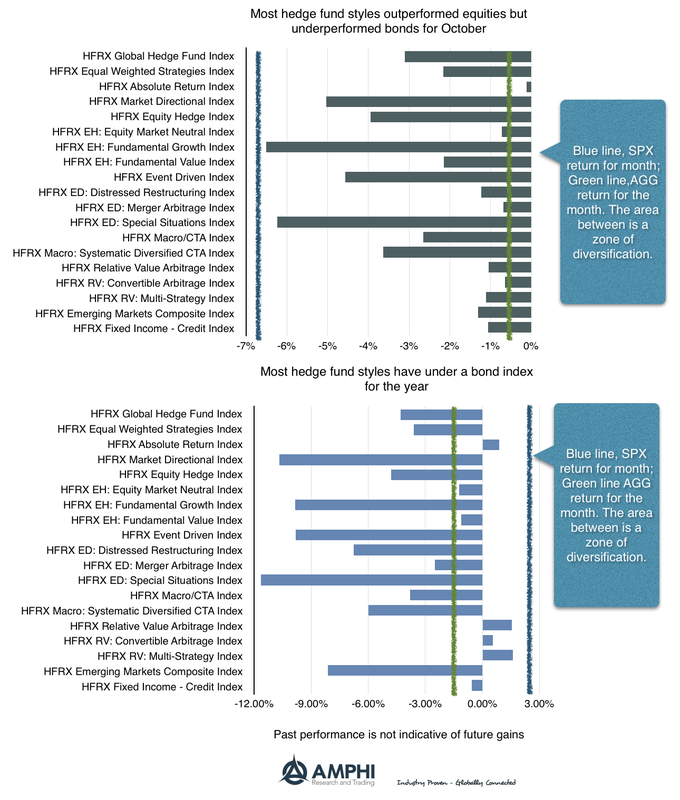 While not perfect, this form a bracketing provides a quick judgment on hedge fund performance. What is PMI telling us about the stock/bond mix? Where do we stand after the October repricing?